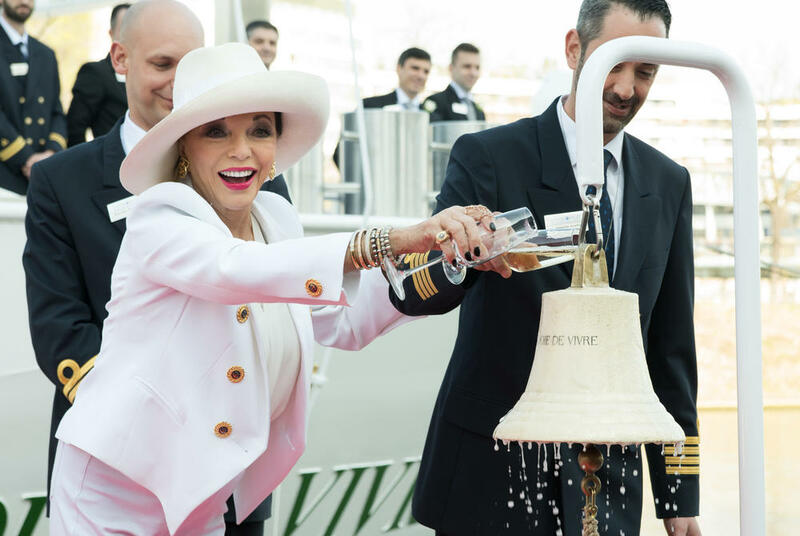 Dame Joan Collins has named the S.S. Joie de Vivre in a glamourous christening ceremony held in Paris. 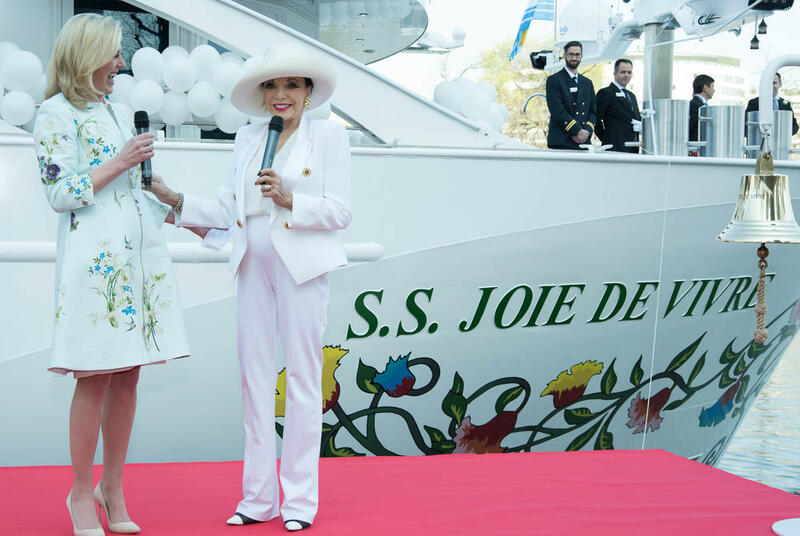 Following the event, the S.S. Joie de Vivre set sail on its maiden voyage through Northern France sailing on Uniworld’s Paris & Normandy itinerary. 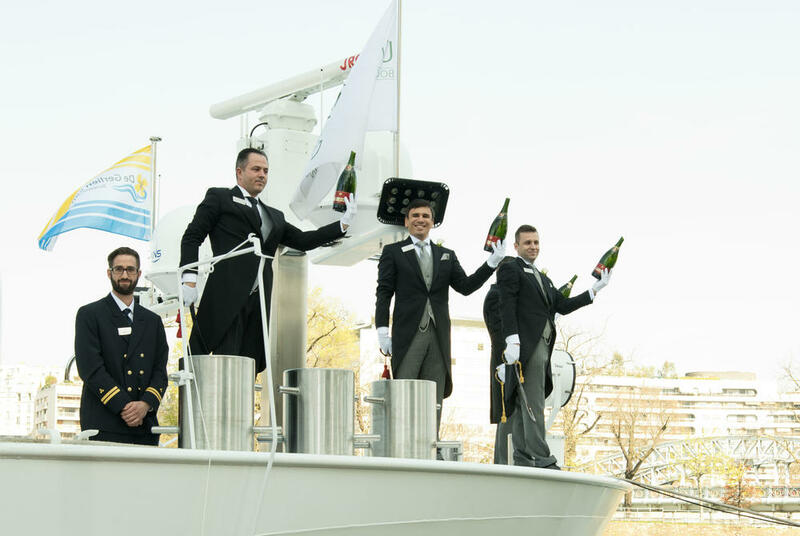 Measuring 125 metres long (rather than the usual 135 metres), the S.S. Joie de Vivre can dock right in the heart of Paris in the shadow of the Eiffel Tower. The ship features two Royal Suites, eight Junior Suites, and 54 staterooms for a maximum capacity of 128 guests. Farm-to-table cuisine and locally sourced wines are served in the ship’s culinary venues, including Restaurant Le Pigalle, Salon Toulouse, and Le Bistrot. Le Cave des Vins is the S.S Joie de Vivre’s intimate venue for an exclusive hands-on dining experience where guests choose fresh ingredients and prepare a seven-course meal with the ship’s chefs, combined with French wine pairings from the sommelier. Club L’Esprit, the on-board spa and wellness venue, offers a number of massage therapies and treatments, as well as a fitness centre. Yoga sessions and aquatic fitness classes are also offered daily and healthy smoothies are served in the adjoining L’Esprit Bar. A swimming pool with a hydraulic floor transforms the space from day to night. By night the venue becomes Claude’s offering an authentic French Supper Club experience, serving cuisine from a tapas menu accompanied by cocktails with live music. On a number of nights throughout the cruise, Claude’s presents classic French cinema under the stars. Designers from Uniworld’s sister brand, Red Carnation Hotels, have used their talents on the S.S. Joie de Vivre with bright, colourful designs inspired by 20th Century Paris and reminiscent of the finest super yachts, including highly-polished wood finishes and luxurious fabrics and carpets. 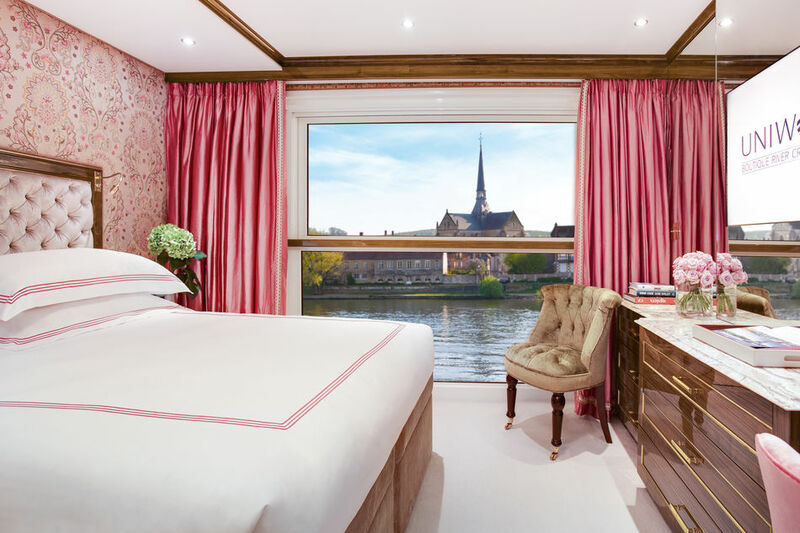 The S.S. Joie De Vivre joins the fleet of Uniworld which feature all-inclusive itineraries in Europe, as well as voyages in Russia, China, India, Egypt, Vietnam and Cambodia – a total of 22 rivers in 26 countries worldwide.